We have passed the tipping point. In 2015, research showed that people were spending more time on apps than watching TV. Today, it is proven that consumers spend more time browsing on mobile devices than they do on desktop computers. This trend is not slowing down. With consumers showing increased interest in doing their decision making on portable devices, businesses must take note. But what does it mean to truly put mobile first in marketing? To address this change, it is necessary to adjust marketing approaches to all content and channels including emails, website content, social media, and video marketing. When mobile devices were first introduced, designers tried to cram the entirety of their applications onto smaller screens, giving way to downsized content and clunky user experience. However, when they started to consider using mobile interaction as a starting point, they discovered it created a cleaner and more intuitive experience. This provided mobile users with the essential information and content they needed, which lead to improved engagement, traffic, and conversion. The concept of “mobile-first” design is pervasive for those creating applications and mobile-first websites. However, it is equally useful to consider mobile first in terms of social media, email, and video marketing. Up to now, most methods involve scaling down large amounts of content on these channels for things like above-the-fold website copy and social media posts. With the increase preference for mobile devices, it is crucial to consider specific marketing formats, design components, and content types that are unique to mobile. Make scannable content: 79% of online users scan rather than read on mobile devices. Some research even suggests that the mind actually shifts into a non-linear scanning mode when reading online. Using bullet points or other simple layout elements will make content more digestible and impactful for the modern reader. Shorter video content: Experts say that over 75% of mobile traffic will be in video by 2020. Brief, visually stimulating, videos are important to convey your message. 85% of videos are watched with the mute button on, so it is important to establish branding and key takeaways in the visuals and first several seconds of a video. Short meaningful copy: 40 characters or so is ideal on social media to send a message. Posts this brief or less have 85% more engagement than longer posts. Use white space: Scaling-up from mobile-first has the benefit of adding more white space to your messaging. 20 - 40px of white space around text is said to have the effect of increasing comprehension by as much as 20%. Mobile-exclusive formats: Email content designed specifically for mobile has a 40% higher open rate. 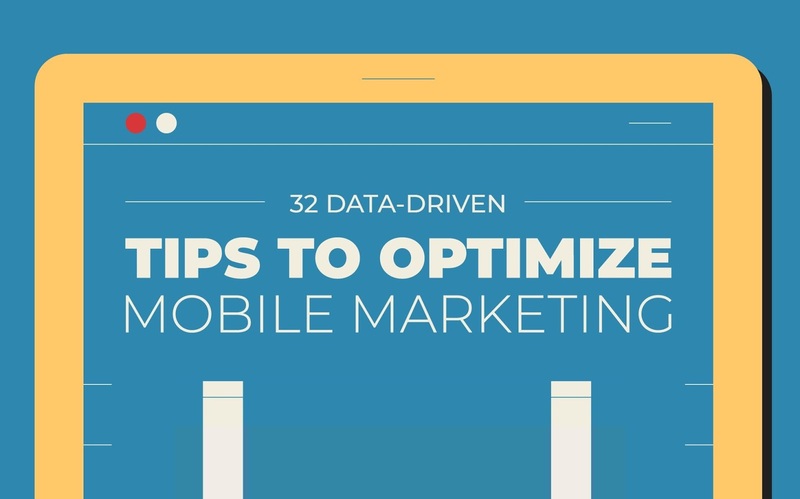 To help you incorporate mobile considerations into your strategy, Red Stag Fulfillment has put together over 30 data-backed tips and trends to optimize your social media, website, email, and video marketing and create a smooth, consistent user experience.